Wow, what a crazy, fun few months it has been! How has time passed this quickly?! It's been one busy summer of interning and traveling, but it's also been way too long being away from all of you wonderful friends. 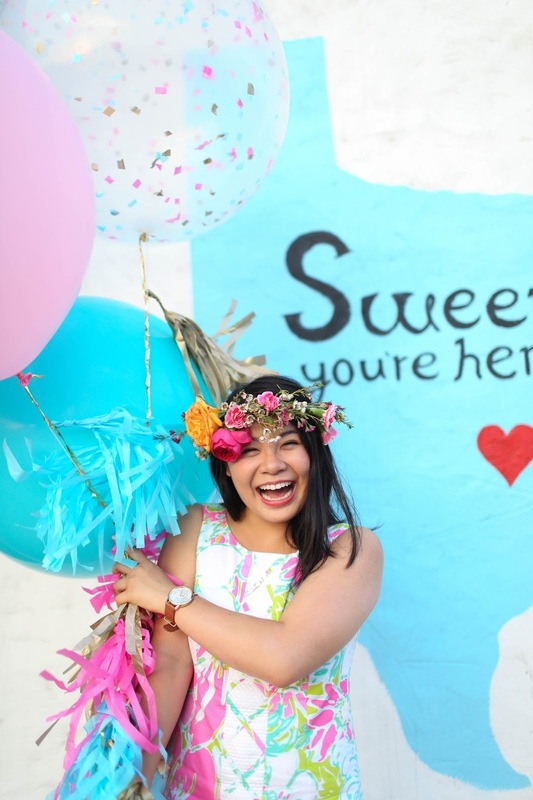 Now that I'm finally easing into a new school year schedule, it's time to get The Bella Insider up and running again! 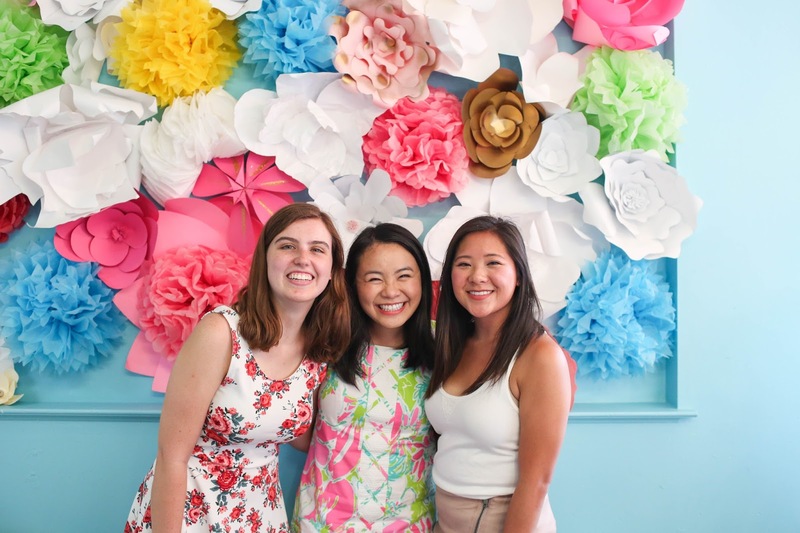 It is a joy being up on the site, and it only seemed right to come back by sharing one of the most fun experiences I had this summer: a sweet 21st Birthday Party at Kellie's Baking Co. for a watercolor cookie decorating party! Birthday parties come few and far between for me due to friends typically being away for summer vacation, but this year, I thought it was time to get some of my favorite people together and celebrate! 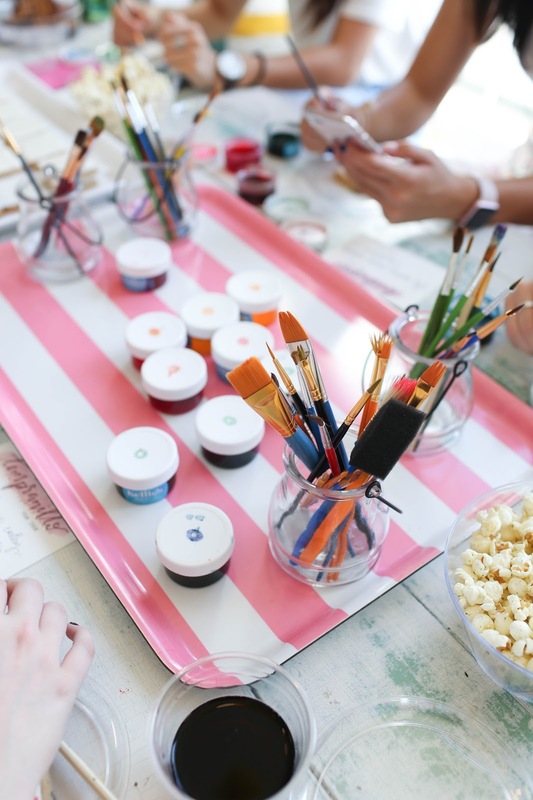 The idea of a watercolor cookie decorating party came about because of the creative genius, Kellie, behind Kellie's Baking Co. After such a fun time decorating cookies with watercolor paint at her bakery re-opening earlier this year in March, I knew I had to invite a few girlfriends over to paint some watercolor cookies ourselves. The planning for this party surprisingly came together quickly. With some help from The Balloon Bar and Kellie's storefront already decked out with lots of fun things on her walls, the decorating part on my end was minimal. 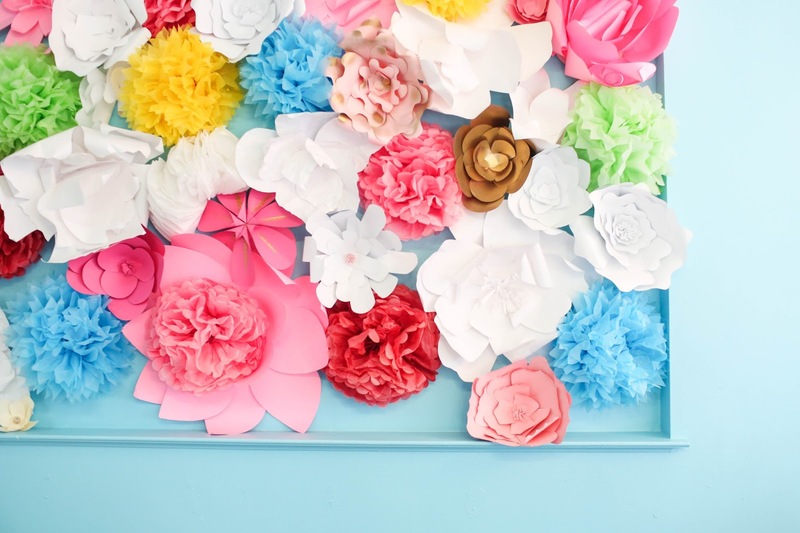 One thing I absolutely loved was her paper flower wall...something tells me I need something similar in my dorm room! 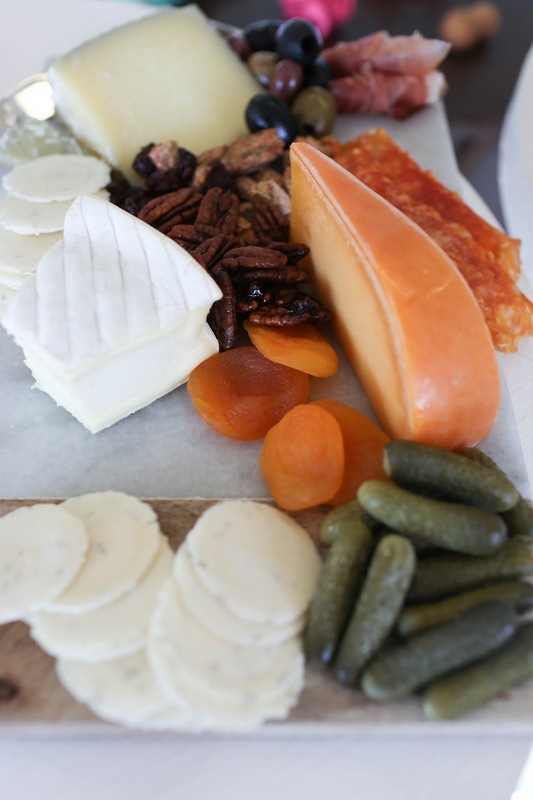 After an abundance of cheese plate making at my internship company this summer, I knew I wanted to have a spread of my favorite cheeses and crudité along with some other snack-y items for the girls to munch on while we painted our cookies. We also had bottles of wine and cans of sparkling water for the girls to help themselves to, but the DIY grapefruit palomas seemed to be a big hit! Note to self: a DIY cocktail station is always a good idea! 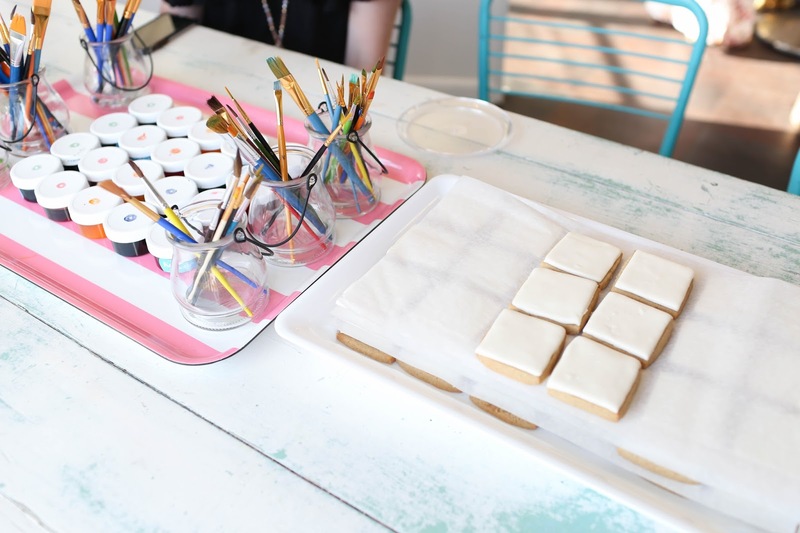 Kellie and her team provided simple square cookies, lots of watercolor paint, and brushes of all sizes to paint our own watercolor cookies. There were plenty of cookies, so we all had a go at decorating a few. 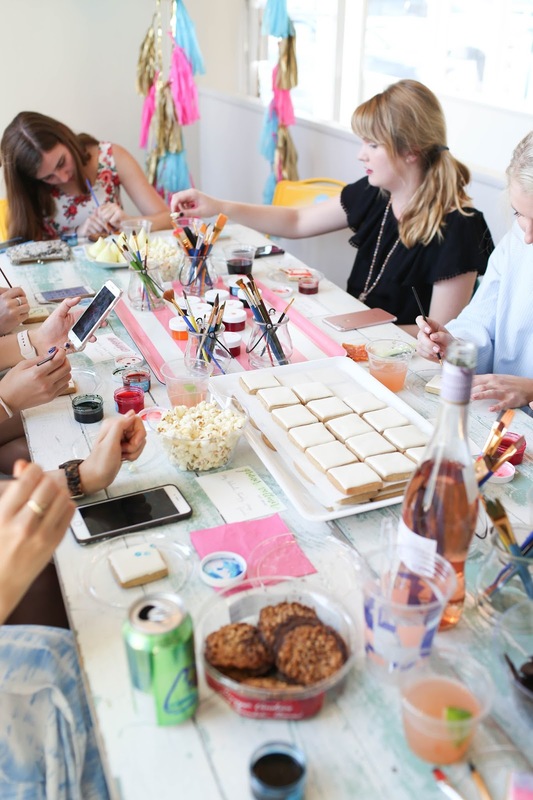 My favorite thing about sitting together at this long table was seeing my favorite gals make new friends, catch up with old ones, and enjoy wine + snacks while painting. It was fun seeing everyone's creations, too! 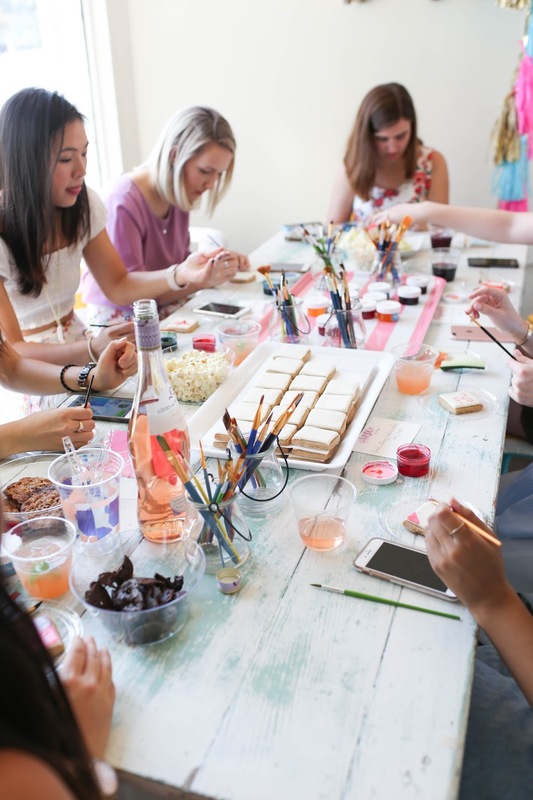 These ladies headed to Pinterest on their phones to gain some inspiration, and they painted monograms, simple patterns, flowers, and other intricate designs. Needless to say, I was impressed! 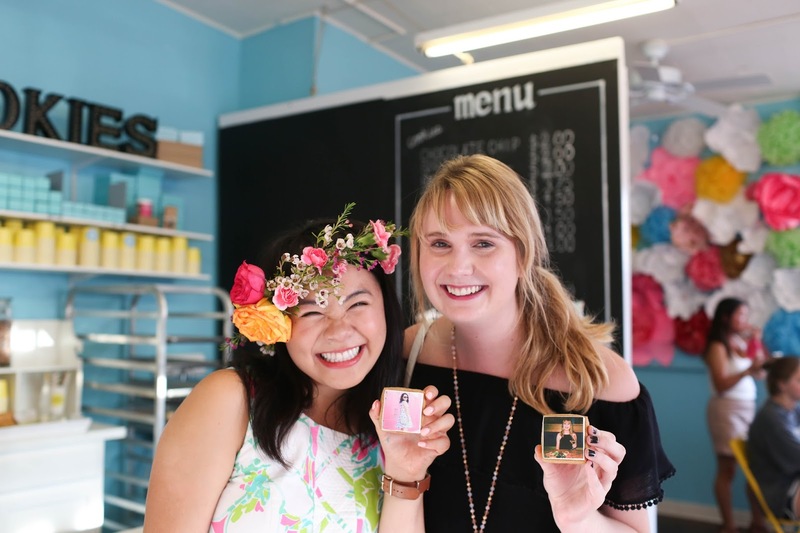 In addition to the watercolor cookie decorating station, Kellie and her team were also kind enough to open up their brand new edible cookie dough bar for us! I can't think of another place in Austin for such a treat as edible cookie dough in a cone, so it was a blast being spoiled and trying out all the different flavors! My favorite edible cookie dough flavor had to be the peanut butter. I couldn't resist sprinkles either, so I had to make sure to add some on top. 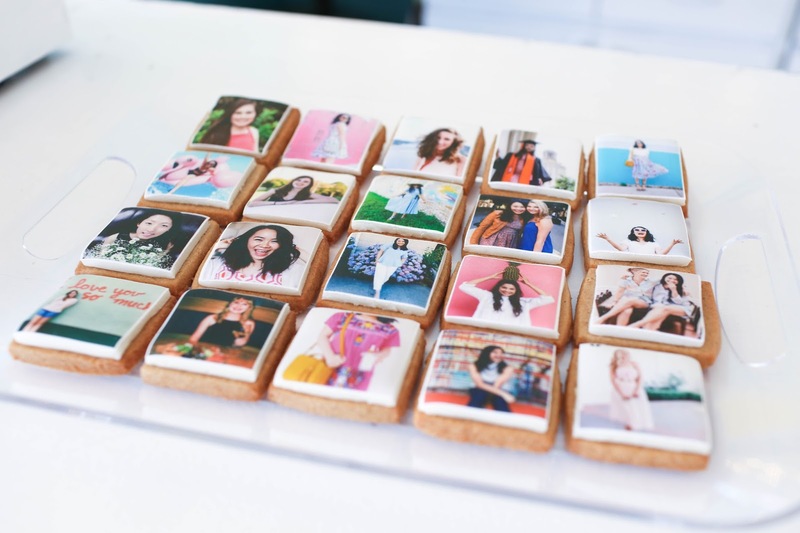 Perhaps my favorite part of the evening was seeing the girls' faces when they were surprised with Kellie's Baking Co.'s edible photo cookies! Each girl went home with a cookie, and I loved seeing their expressions when they saw their own faces on them. 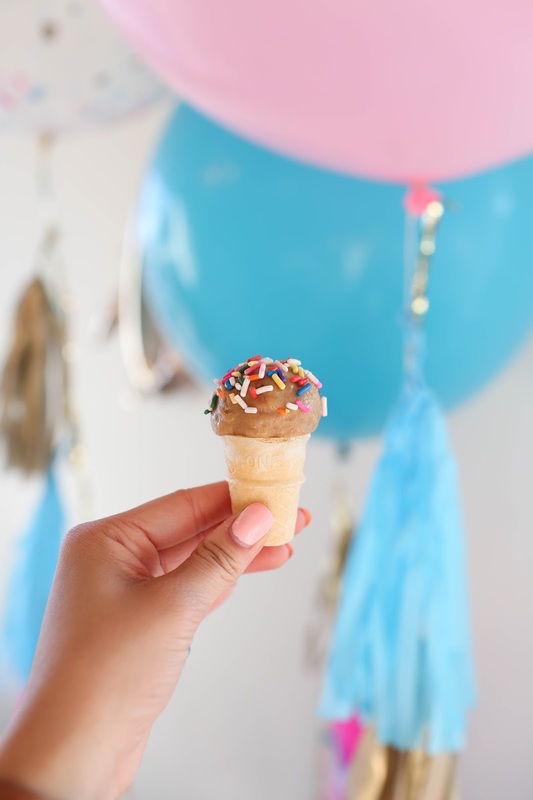 They were a super fun treat, and I would 110% give them away as party favors again. Oh! I can't forget about my flower crown! 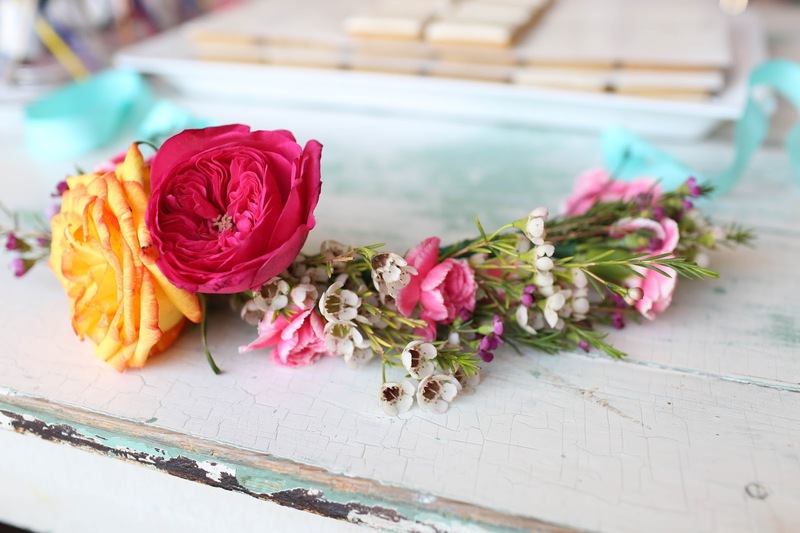 I insisted on having a flower crown to wear for the party, so I went ahead and crafted one myself using flowers from Central Market and the skills I learned with the talented Carly at House of Margot Blair. It was festive, fun, and perfect for the occasion. 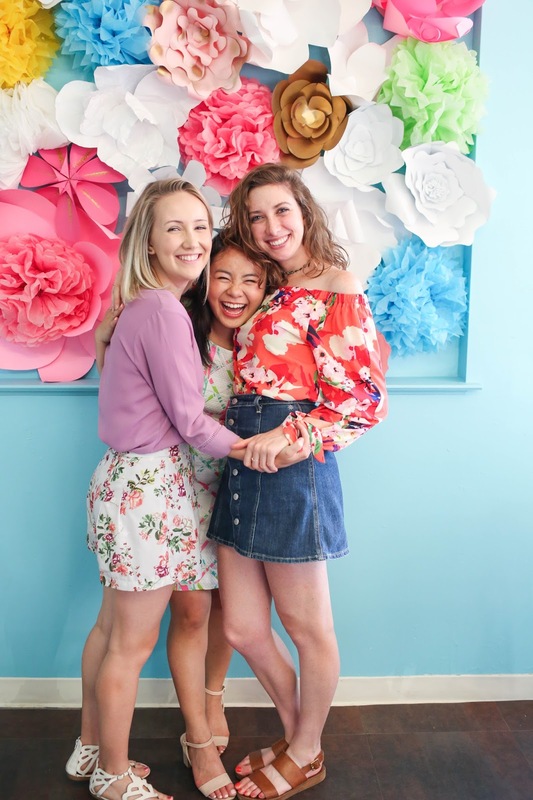 It was a total joy having my closest friends in one place, and I'm itching to get people together again for another party! Maybe something for back-to-school? Something for fall? Who knows! I'll be sure to keep you updated with the hosting endeavors. 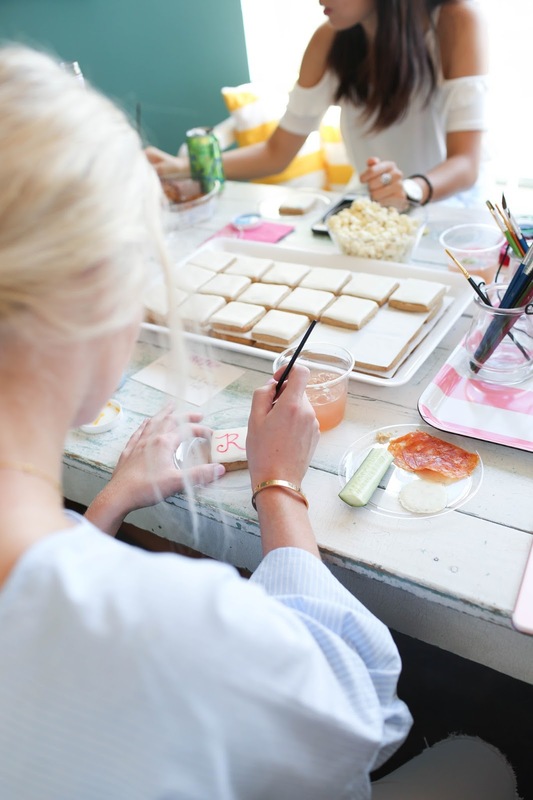 I hope you all enjoyed seeing behind-the-scenes photos of this DIY watercolor cookie decorating 21st birthday party! It's been a wonderful summer, but I'm ready to start my last year of college! I can't wait to share more fun travel, outfit, and college posts with you guys soon. 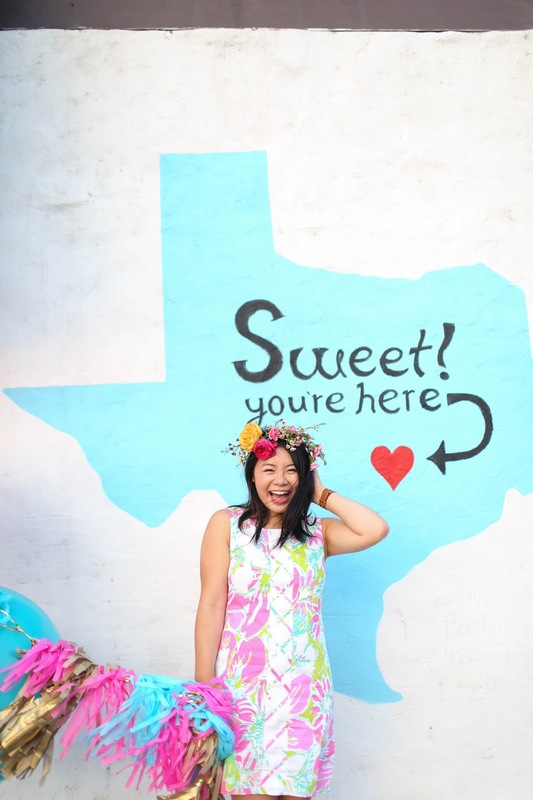 Be sure to check back on Friday for some new travel photos and colorful outfits! 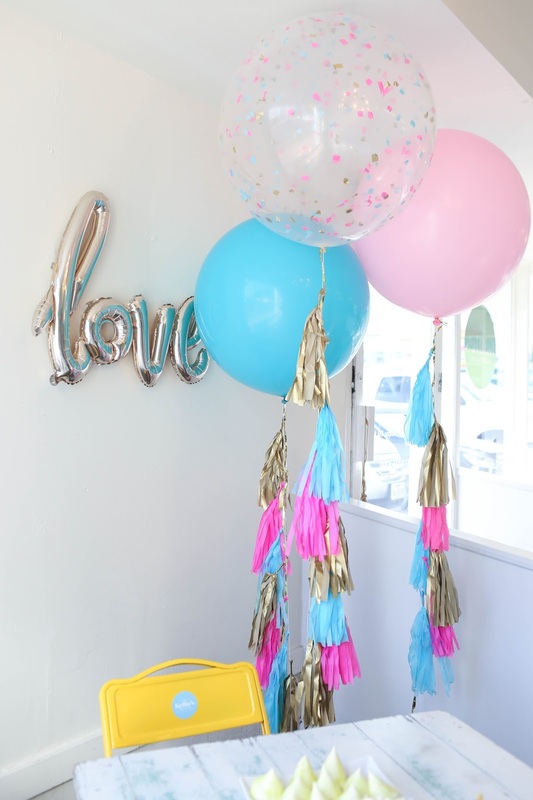 A huge thank you to Kellie's Baking Co. and The Balloon Bar for making this party a hit! That is so sweet, Molly! Thank you so much! This is sososo cute!! 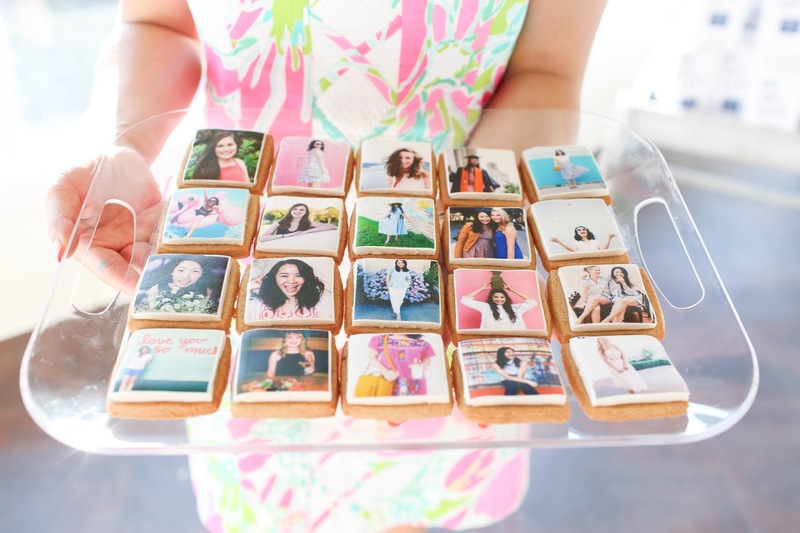 Those photo cookies are insane, that's such a great idea for a party favor! I need to visit Kellie's asap!! Thank you so much, Jessica! 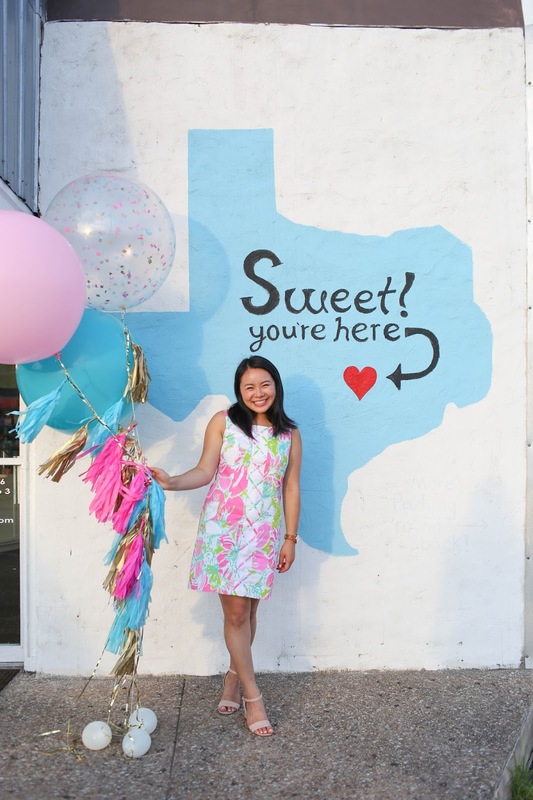 The bakery is super close to campus - I think you'll love it!